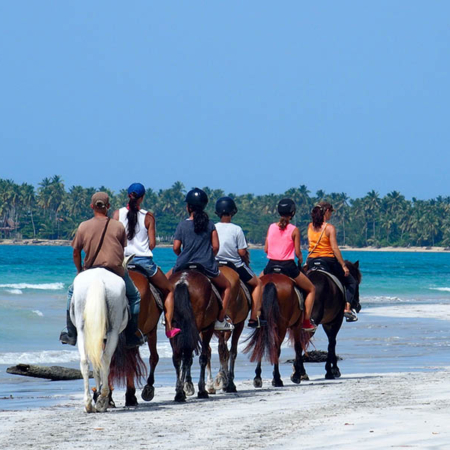 Who does not dream of riding on the back of a horse on a wild beach or to discover lush vegetation while crossing tropical paths? 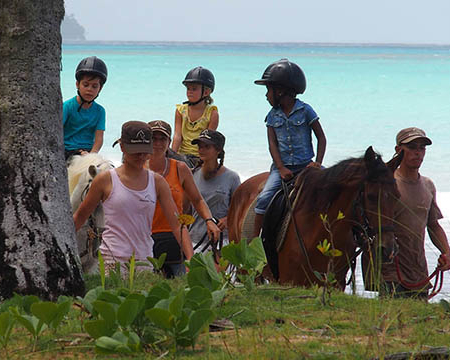 Either a beginner or an advanced rider, Rancho Playa adapts its excursions to any level. 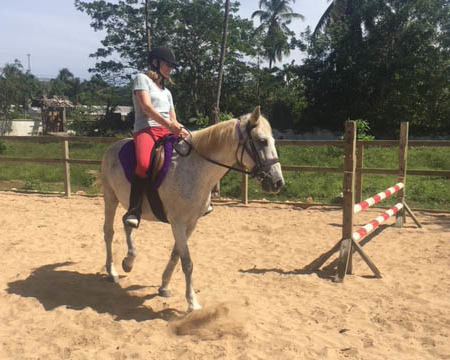 Our two strategies are to respect our animals and for you to have an unforgettable experience. 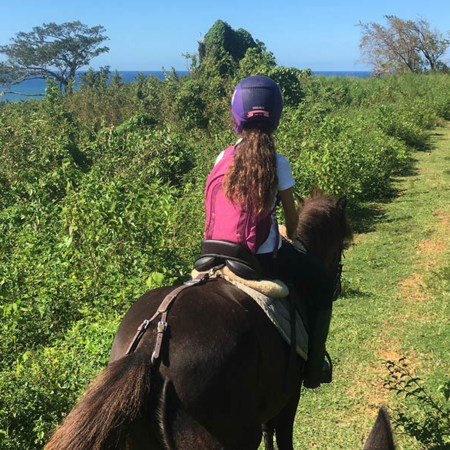 Kids love to discover the rainforest on the back of a horse. Every child will have a personal guide at their side. We offer group and private lessons. Classes last one hour and are given in our 20 by 30 meters sand quarry. For photo shoots, birthdays, summer camps or other events, please contact us, we will make you a tailor-made offer. 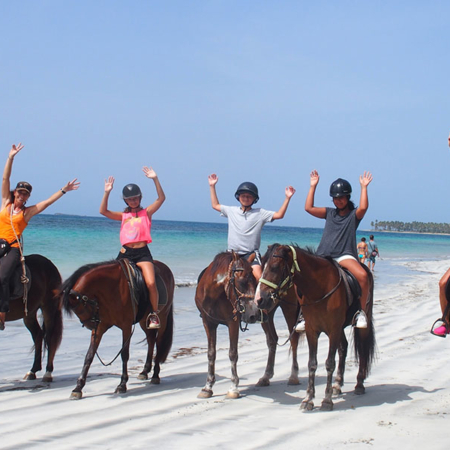 RANCHO PLAYA, specialized in horseback riding since 2015, invites you to discover its new excursions. The whole team is waiting for you to realize your dream and share an unforgettable moment. 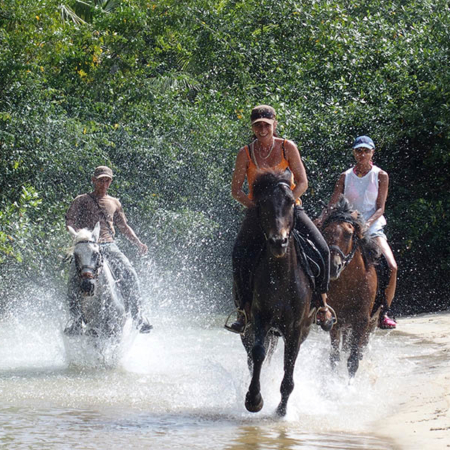 Escape and enjoy an exciting horse riding adventure! Signup for our newsletter and get updates and special offers into your inbox.